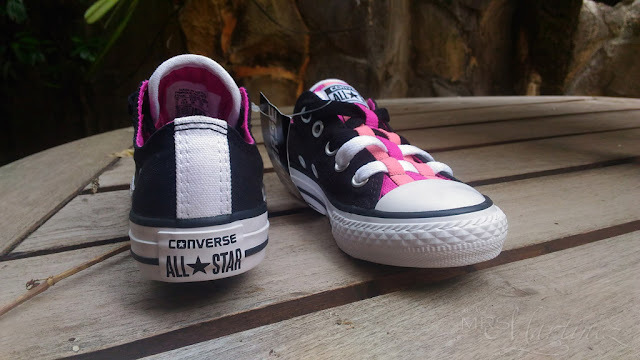 Finally, I was able to get my hands on the latest from Converse Kids - the all-new Chuck Taylor All Star Loopholes (Youth/Junior). 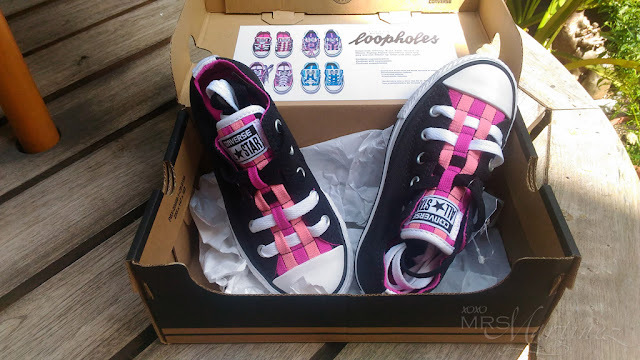 It is made especially for girls who wants to stand out from the crowd like my daughter! 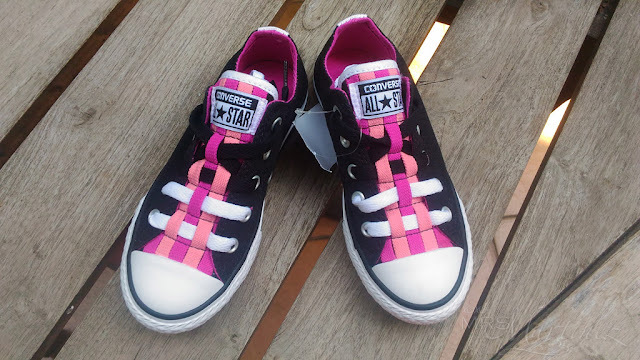 With endless customization, endless self-expression and endless possibilities, girls can lace this sneakers any way they can dream up! The Converse Chuck Taylor All Star Loopholes features a loom tongue pattern and two sets of laces for endless weaving possibilities. I love the updated look of the iconic low-top Chuck Taylor All Star. Girls can express themselves and create their own unique design- Crisscross | Overlap | Braid | Twist | Double-up | Weave | Zigzag | Pigtail | Intertwine. The patterns are infinite! What's more, the sneakers offers a slip-on construction, making it easy to wear and off. The all-new Chuck Taylor All Star Loopholes are available locally in four colors. It retails for Php 2,650. For more information, visit Converse Philippines and like them on Facebook.